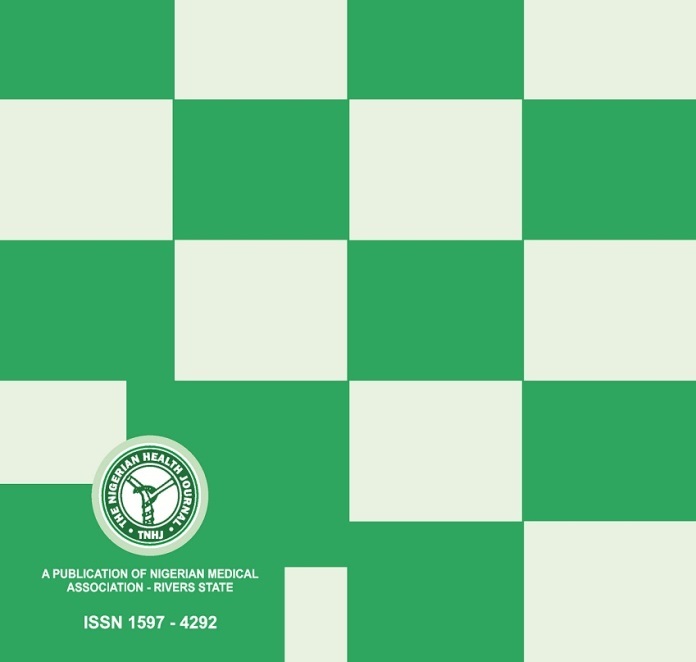 The Nigerian Health Journal (TNHJ) is an OPEN ACCESS, internationally peer-reviewed, English language, medical and health science journal that is published quarterly by the Nigerian Medical Association, Rivers state branch, Nigeria. The journal publishes any contribution that advances medical science or practice extending to all aspects of medicine including socio-economic, political and legal matters related to medical practice, with a perspective that promotes the continuing medical and professional education role of the Journal. Authors should see the author guidelines and section policies for information on manuscript submission. Attitude and awareness of the health hazards associated with self-ear cleaning using cotton buds amongst adult patients attending Federal Medical Centre Lokoja, North central Nigerian. Occupational stress: Prevalence, sources and coping mechanisms among medical doctors in a tertiary institution.